monday nights 5:30-6:45 at yoga institute! i’m very excited to teach an intermediate class on monday nights at the yoga institute of houston! a wondrous group of yoginis and yogis, sharing their practice in a beautiful and sacred space. please come and join us! This entry was posted in News, Uncategorized on June 17, 2014 by jfanarof. i received this touching letter from a student i worked with recently. i had asked her to consider writing something regarding the work we did together, and i’m honored to share this broadly, and to support her in her healing path. i’m humbled by her ability to show up–to be present–to be patient–to be loved. thank you sherry–you have taught me so much. A dear friend gifted me with a full restorative yoga session with Justine after completion of stem cell replacement therapy at M D Anderson. It was, by far, the best gift I have received since beginning my treatments for lymphoma in the fall of 2013. My cancer is aggressive in nature. The rigorous chemo treatments were all in hospital. I spent a total of nine and a half weeks in the hospital throughout my care. At the time of this writing, a little over 100 days have transpired since my stem cell replacement. I am well on the road to recovery and good health. Justine has helped tremendously in this recovery. 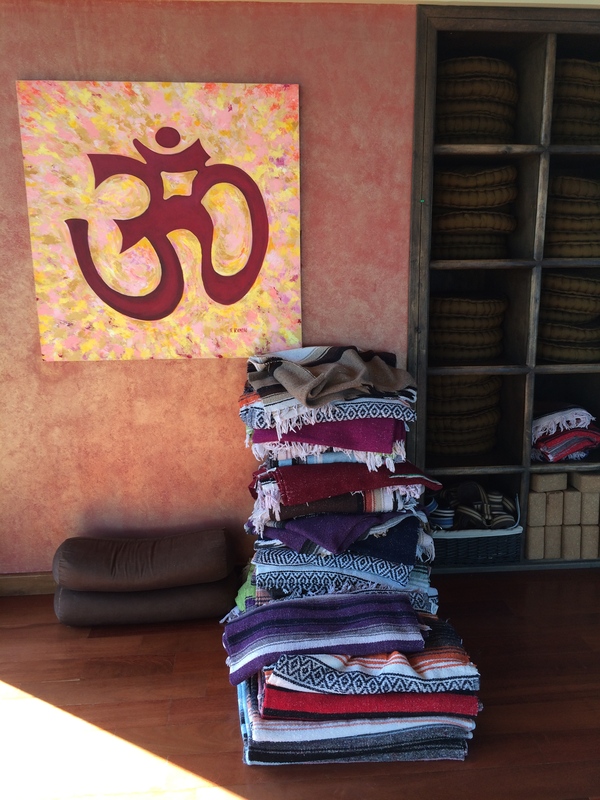 A session of restorative yoga with Justine not only helped my body, but also my mind, heart and soul. It is hard to put into words how it opens your emotions and memories of the difficulties experienced throughout the diagnosis of cancer and the cancer itself. I came to her stiff and in need of a good stretch and reassurance that I could regain strength. I also came to her with suppressed and bottled up emotion. As she led me through the work out I was able to pour out those feelings. Her knowledge and instruction allowed me to move through so much stored garbage and pent up sorrow. Her love comforted and warmed my soul. This is therapy – the good kind. Justine revitalized my well being through movement (plenty of adjustments with soft props – blankets and pillows), spoken word (instructional as well as reassuring), and love (no other way to say it – she exudes and personifies it). I highly recommend restorative yoga with Justine. If you have been through a battle and need release, readjustment, revitalization and perhaps even rebirth, then this may be that outlet, salve or balm.